Penn State safety Lamont Wade's was among the dozen Nittany Lions to enter their names into the NCAA transfer portal hoping to find greener pastures to continue their careers. Most have either found a new home or are set to soon decide what their next step will be. But Wade is returning to State College, filling back up the locker he had ceremoniously cleaned out on social media. 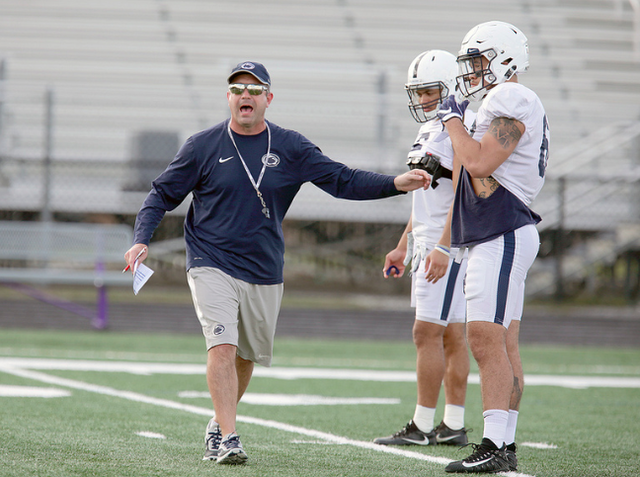 His time at Lasch isn't done just yet. “Lamont’s a year away from graduating; this doesn’t make sense," Franklin said of his potential departure. "This doesn’t make sense. To be able to talk it through... he’s able to look around. And to Lamont’s credit, you know, he’s frustrated. He wants to play more. He wants to have a big impact. And we want that for him, too. So it’s talking through all these things. "The good thing is, back to the recruiting process, had a really strong relationship with mom and dad." Franklin wasn't shy about his thoughts on the NCAA's new transfer portal, a system that allows college athletes to pursue a transfer without the previously required permission granted by their current programs. Players like Wade can no longer be blocked from leaving and going to whatever program might want them. Transfer rules (sitting out a year if not a grad transfer) still apply, but free agency is now all but official in college football. "So that's how that played out. But it's a tricky deal. It is a tricky deal. It's a tricky conversation. And I have some concerns right now about where this is all heading and does it get to the point where you can't really make anybody happy because one group wants this and the other group wants something else and does this model just blow up at some point." It's hard to imagine that any head coach really likes the transfer portal given the power it takes from them, but Franklin spouted off nearly 1,000 words and six and a half minute sermon on the new system on Wednesday, only emphasizing his general dislike for the new transfer landscape. But in general, boiled down, Franklin is worried about the sport itself. “I looked last week, I think at that time there was 1,789 guys in the transfer portal," Franklin said. "I worry that all those guys are going to find the right spot. So I just worry. I worry who’s advising. I worry about where the information is coming from. I worry that there’s a shift right now to the emphasis being on the NFL and not on college athletics, which is, to me, education first is how I got into this industry." “For me, my concern isn’t really about Penn State,” Franklin added. "I’m worried about college football. I’m worried about what we’re teaching young people." 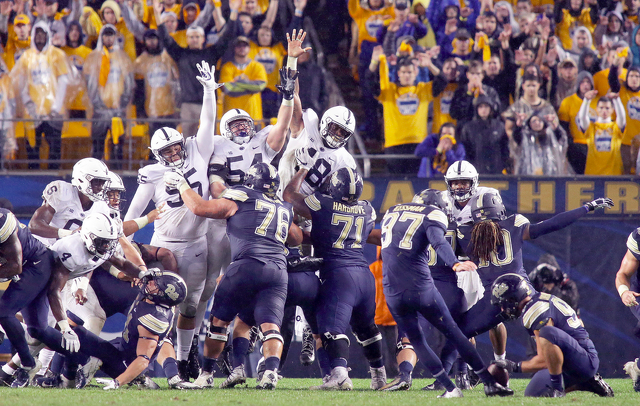 James Franklin offered up some insight Wednesday afternoon into staff changes --- both made and not made -- following the conclusion of Penn State's 2018 season and Citrus Bowl loss to Kentucky that rang in the new year. Out: receivers coach David Corley, who oversaw a group that struggled throughout the year with drops and confidence despite otherwise high-end potential on paper.